John Bina: For over 30 years, from the 70s into the 21st century, Big John Bina brought a larger than life� presentation to Providence radio. Many Southern New Englanders grew up listening to him on such stations as WSAR, WPRO AM/FM, and WWBB (B101), making each listener feel like they're part of something fun. His outgoing personality also lent itself to stage acting, independent film roles, activity in Rhode Island politics, and tireless work for many charitable organizations. John also shares his many broadcast talents as a member of the faculty at New England Tech. His on-air signature show closing sums up his outlook as he asked his listeners to please...be happy! Roger Bouchard: As President and General Manager of WNRI, it's Woonsocket native Roger Bouchard's job to develop programming, sell and coordinate advertising and produce a daily morning news and talk show. Since 1983, he has made sure that if anything happens in Woonsocket, WNRI reports it. If something is going on in Woonsocket, WNRI participates in it, making himself and the successful community integrated small market radio station two local institutions. A graduate of Woonsocket High School, Rhode Island College and Emerson College, Roger is a proud father, a member of the Woonsocket Rotary Club and commissioner of the Woonsocket Housing Authority. Joannie Edwardsen: For 21 years, Joannie's effervescent voice on 93.3 WSNE kept Rhode Islanders company during their morning routine. Joannie is best known for co-hosting, with David Jones, WSNE's popular, long running, "Jones and Joan" morning show. The program later transitioned to "Joannie and the Coast Morning Crew" with news director Chuck Hinman, Brian 'Coastie' Mulhern and producer Jessica Schiano. Originally from Pittsburgh, Joannie began her radio career with news stints in Birmingham, Milwaukee and New Haven. 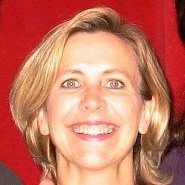 Joannie came to Rhode Island as a newscaster for WEAN/JB 105, and under the name 'Katie O'Malley' launched LITE 105 with Gary DeGraide in June 1985 before re-locating to her more permanent radio home at cross-town rival WSNE. Duffy Egan: Just about every radio station in Rhode Island (at one time or another over the last four decades) has thanked Duffy Egan for keeping its signal on the air. Currently the director of engineering for Cumulus Media in Providence, Worcester and Springfield, Mass., which operates WPRO AM and FM and Lite 105 locally, Duffy became hooked on radio while in high school and that love continued when he went off to college and worked at student station WRIU. He remains the college station's contract engineer to this day! A Rhode Island native, Egan's successful engineering career has also included stints as a consultant, operations manager, and even master control operator at a local television station. 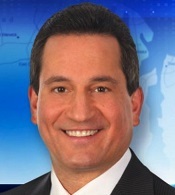 Mike Montecalvo: Mike Montecalvo is an awarding-winning journalist who co-anchors the 5 p.m., 5:30 p.m., 6 p.m. and 11 p.m. newscasts on WPRI-12 and 10 p.m. news on FOX Providence. A Woonsocket native, Mike is a graduate of La Salle Academy and Rhode Island College. He has been a broadcast journalist in the Rhode Island and Connecticut markets since 1981. 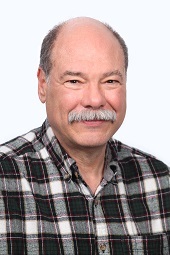 Mike's career started in radio at WNRI in Woonsocket and continued over the next 33 years at WWON, WINY, WKRI, WERI, RI104, 103.7 WRX, 1110 CNN, B101, WHJY and WHJJ. He is currently the advisor to the Bryant University radio station WJMF. A multiple Emmy-nominated Anchor and Reporter, Mike has received over 40 Community Service and Associated Press Awards. Joe Thomas:From the late 1950s through the 1980s, Joe (Thomaschenko) Thomas and his "Swingin' Soire" connected deeply with his audience whether it be on the air or giving exposure to local talent at in-person "hops". With a combination of a pleasing personality plus a gift for picking future hits, he reigned on area stations such as WPAW, WHIM, WPRO, and WJAR. These attributes led his program directors to give him free reign to work "outside the box" of a format. In 1964, a Billboard magazine survey determined Joe Thomas far and away the most influential DJ for influencing single record sales in the Providence market. 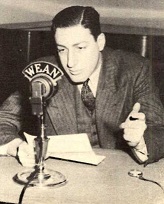 Additionally, the Shepard Award, created to recognize the founders of radio in the Ocean State (John and Robert Shepard, owners of the Shepard Department Stores) and to honor present-day contributors to the industry through leadership, dedication, achievement, innovation and spirit, goes to Fred Friendly. 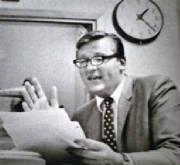 Fred Friendly played a significant role in shaping broadcast journalism. As producer of See It Now on CBS TV, he and anchor Edward R. Murrow did much to expose the emptiness behind witch-hunting Senator Joseph McCarthy during the Red Scare of the early 1950s. After resigning as CBS News president when the network re-ran I Love Lucy rather than carry Senate hearings on Vietnam in 1966, he went on to help form PBS. A graduate of Hope High School, he began his career at WEAN, working there 1937-41. Distinguished Service awards will be presented to Paul Fuller & Al Matthews to celebrate their 25 years at 94HJY and to former WHJJ and WBZ radio reporter, Mark Katic, for his award-winning news and sports coverage. This year's induction class will also include the coveted award for station Broadcaster of the Year. Created to recognize outstanding radio stations and their personnel on and off the air, the 2015 winner is Poder 1110 WPMZ-AM! As an added attraction to the Rhode Island Radio Hall of Fame, local radio fans are encouraged to participate as Associate Members, by contributing a one-time fee of $25. For their donation, fans will earn the right to nominate and vote for local radio industry professionals for future consideration in the Hall of Fame. The $25 lifetime membership fee is tax deductible, and more information (including payment options) can be found at www.rirhof.org.